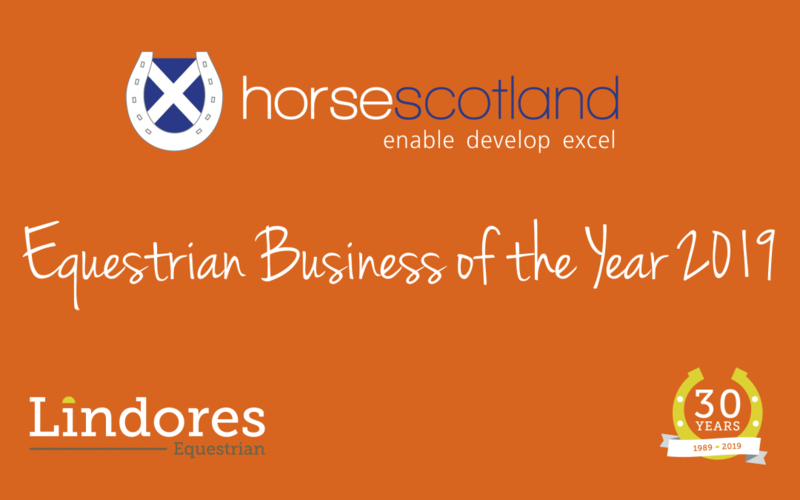 Equestrian Business of the Year 2019! 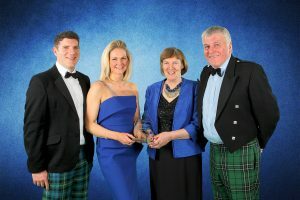 Lindores Equestrian in Fife, Scotland has been awarded Equestrian Business of the Year 2019 at the horsescotland National Equestrian Awards 2019. The family run business, which marks its 30th anniversary this year, is steadfast in customer care, collaboration and re-investment. What makes Lindores unique is that it has evolved by listening to customer feedback and it has kept the same friendly and welcoming family values throughout its 30-year life. 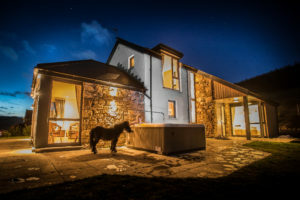 Lindores Equestrian has grown and invested on what the domestic equestrian market and the international tourism market demand. Frances Black who established the business in 1989 was the first person to set up a cross country training course in Central Scotland. 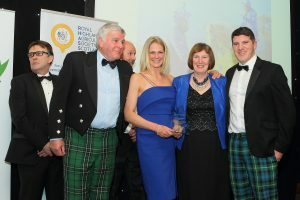 Frances built up a strong Scottish customer base and recruited top trainers like Ian Stark OBE to coach local riders. 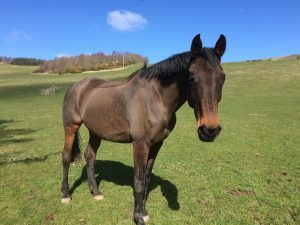 Now, the business is managed by Anna Black and offers customers all year training and horse holiday experiences for all budgets and standard of horse and rider. The business now collaborates with a large number of riding clubs, charities, and qualified instructors to provide safe and friendly kid and adult training camps or day experiences. 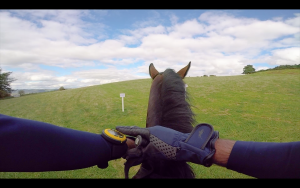 Lindores Equestrian has also collaborated with Wilder Ways Adventures to offer people who can ride but don’t have a horse a sporting experience. Riders can book to trek, show jump in the new Olympic sized arena or even experience the jumps in the famous cross country course which is the size of 80 football pitches and has 125 horse jumps. 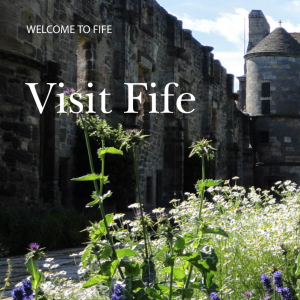 This collaboration has now attracted international guests fly to Scotland and experience Fife. 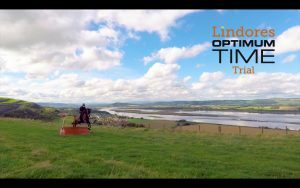 The appeal of Lindores was only heightened when in January 2019 the business released a clip of world famous mountain biker Danny MacAskill racing top British event rider Louisa Milne Home. 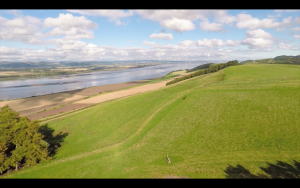 The fun and entertaining bike v’s horse video was watched online worldwide and again put Lindores firmly on the map as a place to stay, ride and relax. In line with BEF Veterinary Advice we can confirm that the events we have planned in will be going ahead as scheduled. 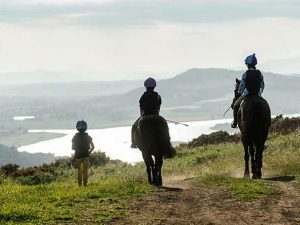 We will continue to monitor the situation closely but require that all horses attending Lindores are FULLY VACCINATED and that owners are vigilant, and if they have any concerns about their horse, other horses on their yard, that they are responsible and they do not travel their horse. 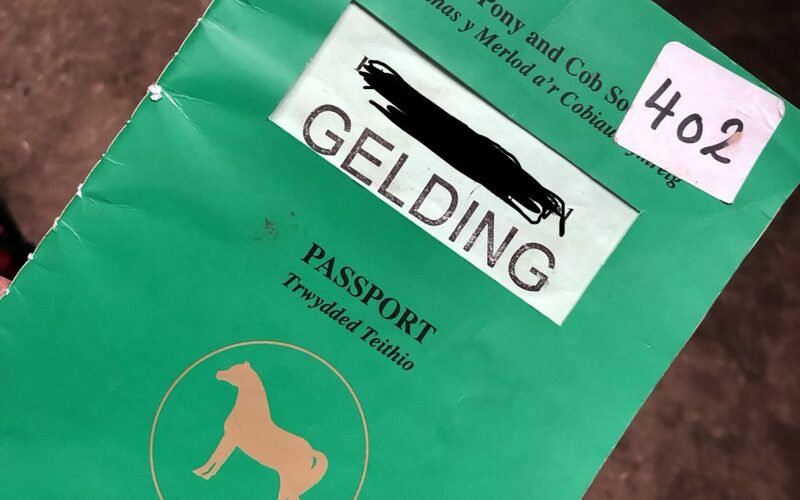 Passport spots checks will become standard practice at Lindores and if you do not have your passport with you – you will not be able to unload your horse to train or camp. Vaccinations are vital in tackling the spread of the disease so all owners must ensure that their vaccination records are up to date, and if it’s been longer than 6 months since the last vaccination then discuss a booster with your veterinary surgeon. Lindores are not stipulating that all horses visiting our yard must have a booster within the last 6 months. We are aligning with British Eventing Federation and request that you discuss whether a booster is required with your veterinary surgeon. Please contact your vet immediately if you have any concerns and do not travel your horse. 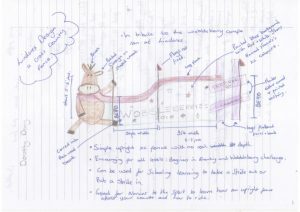 Lindores Design A Fence Competition Winner’s design is more than a fence! What an achievement to everyone involved! 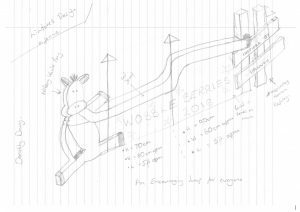 When Lindores Equestrian opened up entries to their 2018 Design a Fence Competition never in their wildest dreams did they expect the winning entry to be as wonderful as it is! 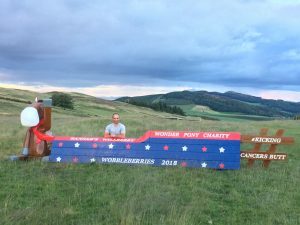 Riders of all ages and artistic abilities were welcomed to enter into the 2018 competition but Scottish rider Dorothy Drury’s Wobbleberries Challenge inspired fence was a clear winner for the judges. The standard of fence design entries were impressive but the judges felt that this Wobbleberry design had the edge over the other great entries because it had great profile, colour palette and the judges really related to the charitable theme. 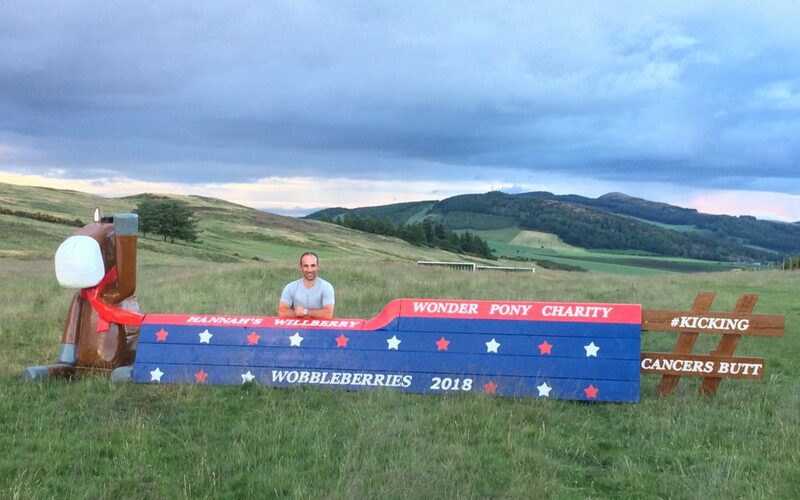 Lindores Equestrian is a popular venue for Wobbleberry Challenge riders training or attending residential camps and the team felt the Wobbleberries fence would bring a smile to riders faces and continue to encourage them to keep training and fundraising. What is the “Wobbleberry Challenge“? 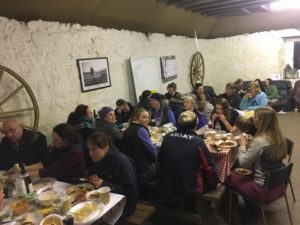 Primarily, the Wobbleberry challenge is a fund raising initiative for horse riders to raise money for Hannah’s Willberry Wonder Pony Charity. 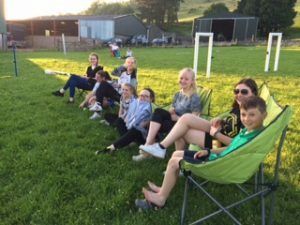 The “Wobbleberry Challenge” was set up because the founders were inspired by the young event rider Hannah Francis who sadly lost her battle against a rare form of bone cancer called osteosarcoma. Hannah was diagnosed with cancer at the age of 17years and demonstrated extraordinary courage and dignity while enduring painful and debilitating treatment. Hannah’s sheer determination defied all medical opinion as she continued to ride right up until her tragically early passing at only 18years of age. 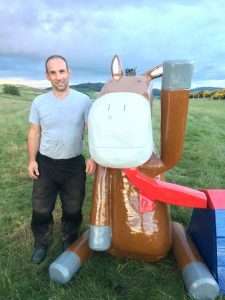 The founders of the Wobbleberry Challenge wanted to raise money for Hannah’s fantastic charity, where every penny will fulfil two principal objectives – to fund research into osteosarcoma and to provide equestrian experiences (“Willberry’s Wishes”) to seriously ill people. The Challenge has run for a year so far, raising over £269,000, with over 1,200 people initially signing up. This is not about a few people raising vast sums of money – it’s about what a group of normal people can achieve when working together. There is no competitive element – it is all about supporting each other. Lots of new friendships have been made because of the Challenge and people have done things they never imagined they were capable of. There are no failures – people celebrate every step on the journey. 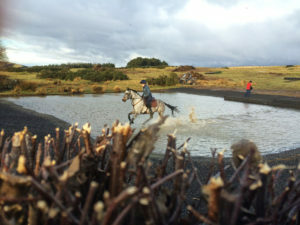 People who take part in the personal challenge aim at completing a BE80(T) event, having never completed one previously with their equine partner. This has proven to be an effective balance between a proper challenge and one that is achievable by ordinary people, riding ordinary horses. It has encouraged fantastic feats of fundraising and sponsorship and created a real sense of achievement when completing. BE Course Builder David Wilson… Genius! Dorothy Drury the entry winner said ‘I really like drawing and as a rider myself I just wanted to design a fence that offered lots of different options to train over’. Lindores Equestrian are delighted to add this latest fence to the existing 125 cross country fences available to train over 7 days a week. 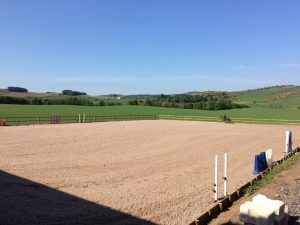 Lindores Equestrian is ideal for riders and horses or all abilities wanting to practice cross country, dressage or showjumping for an hour or as part of a camp experience. With 30 stables, 3 luxury holiday houses, campsite with showers, Bothy, 2 grass show jumping paddocks, brand new 60m x 40m outdoor arena, hacking and stunning countryside views. 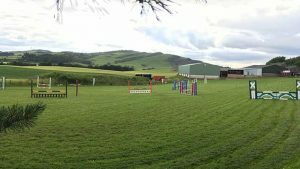 Lindores Equestrian is hugely popular and always welcoming new riders, instructors and clubs to train, host events, clinics and camps. Rated No. 1 in Scotland by EQy magazine 2017. 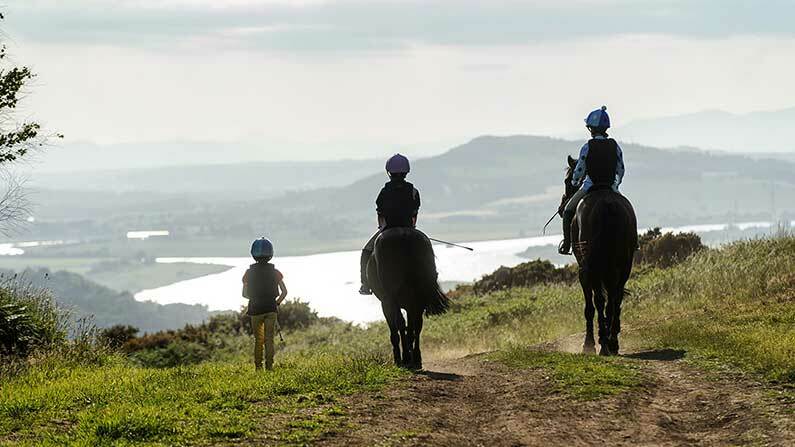 At Lindores we offer a range of holidays with your horse to suit all budgets, with prices starting from £30 per night. Everyone loves spending time with their horse / family / friends, so why not bring them all with you to Lindores? We are situated just outside Newburgh in the stunning Fife Countryside and offer the ideal retreat for you and your four legged friend(s). 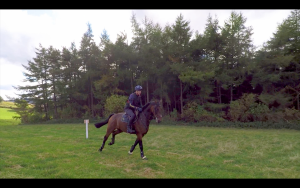 There is plenty of hacking / walking around the farm with stunning scenery, we have a large enclosed grass paddock for riding in (complete with a course of show jumps), 30 stables, sand-school, a tack room and an awesome cross country course with fences ranging from 30cm – 1m+. 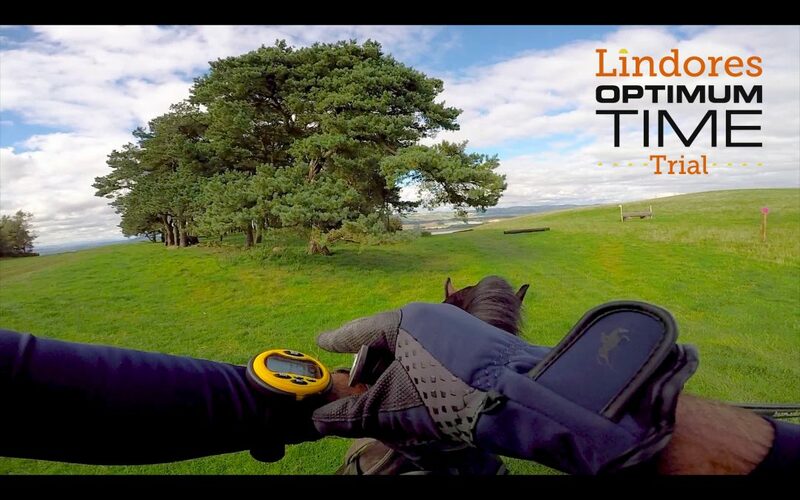 There are a number of local instructors who visit Lindores, who would be happy to help should you want to fit ina lesson during your stay, we recommend you book direct and have a list of local instructors atwww.lindoresxc.co.uk/instructors/. In addition Howe Country Centre hosts has a full competition and training schedule and is a short (12 minute) drive away. For those who wish to travel slightly further afield then over five miles of sandy beach awaits you at St Andrews West Sands and Tentsmuir Forest. And for when you are off your horse there are a huge number of local places of interest to help you relax and enjoy the area. Our friendly family farm offers the ideal place to come and have fun with your ponies or horses and we are also dog friendly too. Horse holiday stabling costs start from £20 per night and you can choose to buy hay, straw, shavings whatever suits your horse and makes them feel at home. 1. 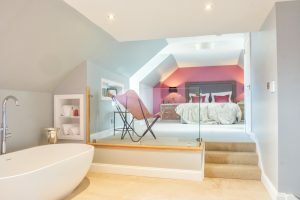 Luxury homes to accommodate all party sizes only a short distance from the stables and boasting stunning views, en-suites, comfy beds and private hot tubs to really help you unwind. 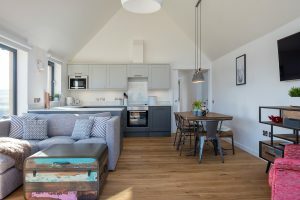 Lindores Lodge – a self-catering luxury lodge which sleeps 6+2. In addition we also have ‘The Arches’ a luxury couples retreat, and new for 2018 ‘The Glasshouse’ which sleeps 4+2. Book online www.lindores.co.uk. 3. Bring your caravan or horsebox – We have hard standing for caravan and horseboxes and also have electric hook up points. You are of course welcome to use the shower and Bothy. Lorry parking from £10 per night for 2 people and £5 per person thereafter. 4. Local B&B’s – there are a number of B&B’s available locally Please book these directly, for more information google accommodation near Newburgh. 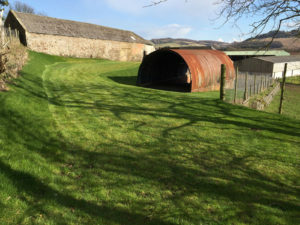 Please contact Lindores direct to check availability for stables / tent pitches / horsebox pitches and for customers wishing to stay in the luxury accommodation its worth checking availability online at https://www.lindores.co.uk/stay/ . Booking early avoids disappointment but we will do our best to accommodate. We look forward to seeing you soon! 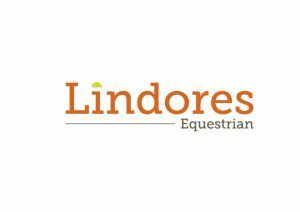 Lindores Equestrian will officially become our new business trading name in 2018. 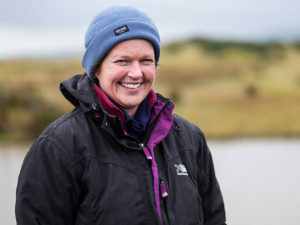 Lindores Cross Country has been our business trading name for 28 years – since Frances Black established the cross country course with Maggie Livingston back in 1989. Back in 1989 Lindores Cross Country was the only central Scotland cross country training course and it received an incredible amount of coverage in the industry papers at the time. 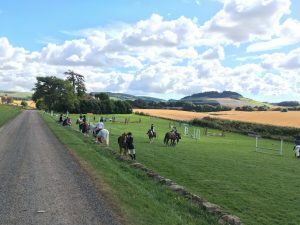 Since 1989, Lindores Cross Country has grown and caters for third generation family horse riders, grass root riders, 2** eventers, happy hackers, campers, horse holiday makers and everything in between. 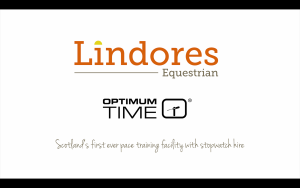 Lindores has grown over the years and with huge investment in the last 4 years the business name Lindores Cross Country no longer reflects the wider proposition available to the equestrian community. 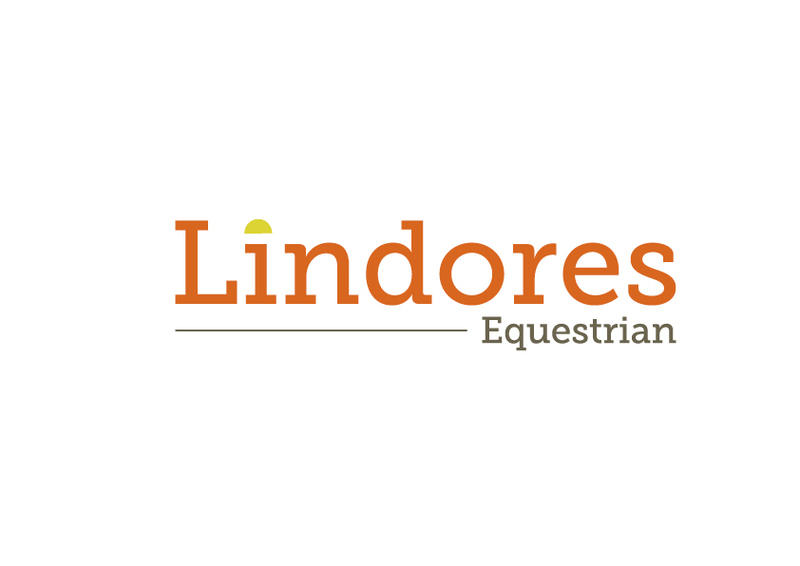 So, it is with great excitement and pride we rename ourselves as Lindores Equestrian. Please stay connected with us for more and more updates from the team.